Two guys driven by their passion for music. Born to entertain and perform. With hardstyle crawling through their veins, music goes way beyond just a hobby. It lives in every aspect of their lives. 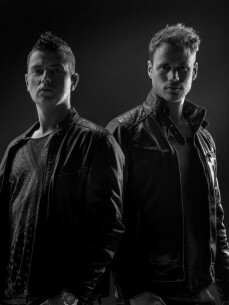 Roland Evers and Rick Buijtenhek form a fresh hardstyle duo, better known as Bass Modulators. With an energetic crossover signature sound and a dedicated work ethic these guys are on the roll. With a big heart for bass and melody they started their hardstyle adventure back in 2007. They managed to create their own euphorical, energetic ‘feel good’ sound, that received instant international allure and status. It’s their incredible creativity and amazing talent that brought them where they are now. The career of the Bass Modulators contains nothing but highlights so far with gigs all over the world like Mysteryland, Decibel Outdoor Festival, DefQon.1 Festival in the Netherlands and Australia, Hardbass , Tomorrowland and Q-Base. Next to these successful gigs they also produced a lot hits liks “I want your love” that Ascended #1 at Hardstyle.com immediately, “NRGizer”, The FreaQshow 2013 anthem “Freaqs by night’ and the Hardbass team yellow theme “Requi3m”.